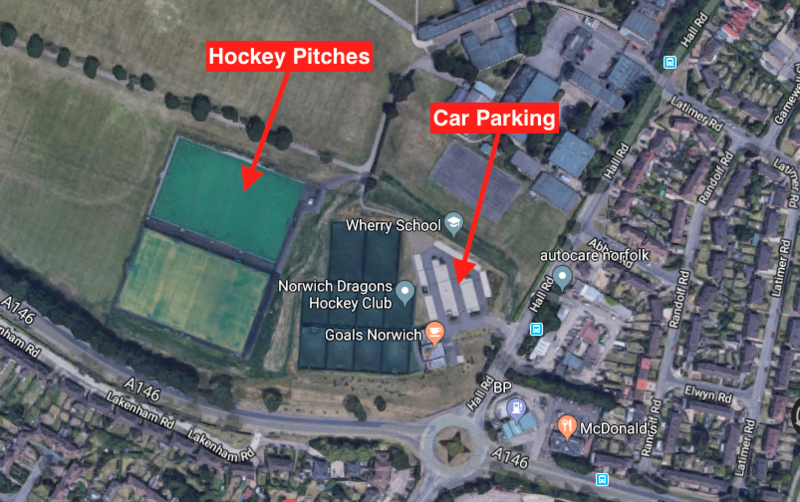 The Norwich Dragons had all to play for after a rewarding season. A win would see them move to 4th position, which had been the objective of Captain Rachel King and Marie James since pre-season planning. A loss would have no impact on their league position. With Siobhan Cleeve away on some sort of mud/fitness bender, Kristina Smyth stepped in to her tiny shoes. After a peculiar hold up before push back as the umpires sorted out radio comms, the Dragons were on the back foot initially. A St Albans attack down the left hand side of the pitch led to a penalty corner being awarded within the first 5 minutes. Unfortunately for the Norwich team, it was brilliantly taken and the opposition had stolen the lead. The pressure continued for the next 5 minutes and St Albans looked to be much the dominant side. The Dragons gave them too much room and on one such occasion, the ball was struck from the top of the D and rattled in to the back of the net. 2-0 St Albans and the Norwich ladies were fearing a whitewash. They found our stride however and started playing our brand of fast, attacking hockey, making the ball work hard for them and moving play around. Sophie Thomas received the ball on the left and found Marie James in the centre of the pitch. James sent it out to Liv Leary on the right who drove towards the base line and then crossed it in to the waiting Hayley Toleman. The ball deflected and rose in to the air, but Toleman managed to slap it in to the back of the goal and the Dragons clawed their way back in to the match. The Dragons started to control play from this moment on. Liv Leary won a free hit just on the 23m line and quickly took it, picking Stacey Lee out as she ran past the last line of defence. Lee found herself one on one with the keeper, but with plenty still to do. A beauty of a reverse stick shot screamed past the St Albans keeper and into the side netting in the goal. Dragons had equalised going in to the half time break. The second half saw some of the best play the Dragons have produced all season. The younger players Issy Wolfe and Lara Taylor showed the promise they both have, with penetrating runs and fierce tackling. The indomitable foursome of Jenkins, Thomas, Murray and Reding controlled defence and ensured that little got through. Smyth was calm and collected under pressure though and made several excellent saves. Luckily for the Dragons though, this really was a day for the forward line. Aoife Lowe-Davies was exceptional as ever, surging through the St Albans defence time and again. 10 minutes in to the second half, the Dragons regained possession in their defensive half and worked the ball up the pitch through Hannah Phillips and Marie James. Stacey Lee then passed the ball with pinpoint accuracy to Toleman, who rounded the keeper and put the Dragons 3-2 ahead. Another beautiful team goal! Shortly after, the Dragons had enjoyed a great run of play down the right hand side, with Liv Thomas and Stacey Lee combining brilliantly. Lee self-passed and with some trickery and skill managed to beat three St Albans players and set herself up for a shot on goal. Another perfect reverse stick effort followed and there was nothing the keeper could do to get in the way. The Dragons moved 2 goals ahead. As if that wasn’t enough, with 10 minutes left to play, James found Toleman and Toleman skilfully found her way past the defence. With just the keeper to beat, Toleman lured her in and then slipped it left to an oncoming Lowe-Davies, who wasted no time in slamming the ball home. The Dragons moved 5-2 up. St Albans pulled one back with an incredibly powerful penalty corner strike, but the Norwich Dragons were home and dry. 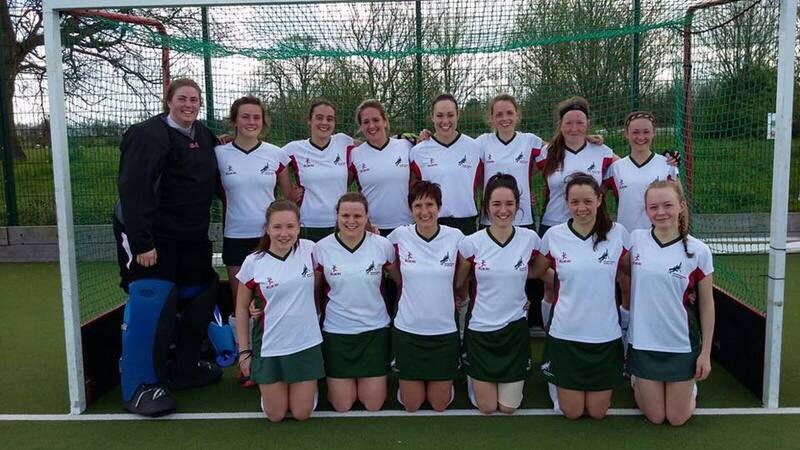 An emphatic team performance saw the ladies finish the season in style, achieving their objective of 4th place. Next season – promotion! An extremely youthful Dragons men’s 2s travelled away to Magpies 3s for their last game of the season, with the home team already promoted and looking for a win to secure their position as 3NE champions. Apart from the back five (four defenders and goalie), dragons’ line up consisted of entirely under 18s, a testament to our youth team. George Bowman also made his debut as captain and led the troops into battle. Dragons started the brightest and dominated the early stages of the match. A goal from Ben Watson gave the away team the lead as he kept his cool during a one on one, rounding the keeper and nailing the ball home from a tight angle. Dragons should have doubled their lead after great attaching play resulted in a penalty but it unfortunately wasn’t converted. A lack of discipline meant some dragons spent a few minutes on the naughty step but were able to cope when down to 10 players. Harleston drew level with a well taken short corner just before half time, drilling the ball into the bottom corner. Coach Jase’s halftime team talk focused on the positives from one of the most encourages halves of the season. The second half was much more open than the first, as the game ebbed and flowed between the teams. Cards were shown for both sides as tensions rose. A drag flick from Raunaq gave dragons the lead before a scrambled finish from Rohan put the visitors 3-1 to the good. Despite dropping again to ten men for the last five minutes of the match, dragons were able to inflict the Magpies’ first home defeat for over two years. Richard Gill was awarded man of the match for a sensational return to his former club, thwarting numerous attacks and spraying the ball around the pitch with ease. The victory owed to the experience of the back line and the skill and speed of the youth ahead of them, constantly beating players with skill and moving the ball on quickly. It’s clear, from this performance, if the second team could get out their strongest team each week they’d definitely be competing to be champions. 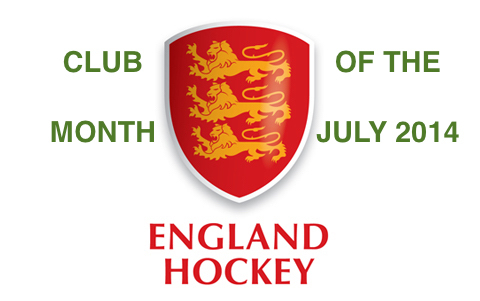 However, Jase’s men have secured their place in fourth, so we are looking forward to some midweek champions league hockey next year at the den. A cracking run of form since Christmas has seen the men’s 2nd team win 7, draw 2 and lose 2, despite hit and miss availability throughout this period. Thanks to Jason for his commitment as captain over the last two years as he steps down this season and hopefully this cracking end to the season can be carried on into the next. Dragons travelled to IES 4 for their final game of the season looking forward to a game with no significant implications on the league position for either side. In glorious Suffolk sunshine, the game was played in a good spirit and initially saw some end to end action, Ben Nkrumah making some good saves to prevent IES taking the lead. Dragons showed some great team play as the Chaney Baxter brothers and Pedro Goss, in combination with the experienced Adie Kemp started to create some good attacking opportunities. The Dragons’ central midfield of Rob Jenkins, Nick Turner and Garnett Jones worked hard and marked tight, restricting the attacks of IES. Dragons took the lead but shortly after, an unlucky deflection saw IES level the game and 1-1 was the half time score. Sound defending from Andy Carver, MoM Will Ives, Rich Phillis and Pete Davison restricted IES to a handful of chances, most of which were somewhat speculative reverse strikes. Dragons increasingly dominated the game in the second half and ended up winning 3-1 with goals from Pedro, Jon CB and Adie. This game capped a satisfying season for the Dragons who have played with an excellent attitude throughout and combined youth and experience to great effect, the young players improving hugely over the season. This entry was posted in Latest News on April 3, 2017 by admin.